As a newly-rising tourist city, the transportation of Zhangjiajie has been developing dramatically to form crisscrossing road net work with highways, railway and airlines. The Lotus Airport of Zhangjiajie is located in the lotus village in the Yong Ding Region of Zhangjiajie, 5 kilometers from the downtown. There is No.4 bus (and the 101 circulating line) going from downtown to the airport. At present, Zhangjiajie Lotus Airport has opened several airlines to the large and medium cities in China, such as Changsha , Guangdong, Shanghai , Nanjing , and Beijing . Visitors should check the local number of Flights of aviation before purchasing the tickets. Zhangjiajie railway station is 5 kilometers from the city proper, just opposite the bus station No.1, No.6 buses service the railway station and it will take you about 20 minutes to travel downtown with a fee of 1RMB per person. To date Zhangjiajie&apos;s rail network has been linked to several large and medium cities in the country. Trains travel to Beijing , Shanghai , Guangzhou , and so on. Daily trains travel between Zhangjiajie and Changsha on schedule. Zhangjiajie long-distance station provides long-distance buses to the surrounding scenic spots and suburbs. Many buses arrive at long-distance station. Every 5 minutes there will be a bus going from city proper to Wulingyuan, which is about one hour&apos;s drive, costing 5 RMB per person; every 15 minutes there will be a bus going from city proper to River Menglon, about 2 hours&apos; drive, costing 15RMB per person; there is a special bus going from city proper to River Maoyan every morning from Xianglong International Hotel. The express way from Zhangjiajie to Chengde was opened in December 26, 2006. With the opening of Chang-Zhang Express way, it takes less than 3 hours to travel from Changsha to Zhangjiajie, and it takes about 8 hours to travel from the Zhu-triangle to Zhangjiajie. There are 10 bus routes in Zhangjiajie now. The average fee for the bus is either 0.5 or 1 RMB per trip. These bus routes cover most parts of the city proper. The starting price is 3 RMB. 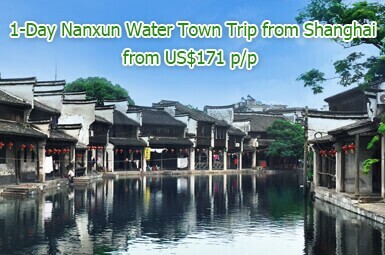 If you go to the railway station or the Lotus Airport by taxi, 15 RMB is enough. Tourists who like traveling by their own expense can rent the car to go to different scenic spots. The prices have different levels according to different traveling routes, time and types of the car. 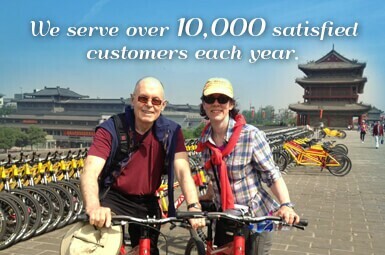 Generally, 400 to 1200 RMB is enough for a car, and 800 to 4000 RMB for a minibus. For the prices and the detailed information; you had better consult the car renting company. By Plane: Hehua International airport is the only airport in Zhangjiajie. 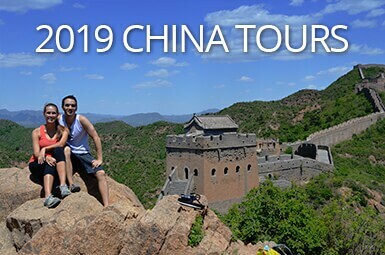 It connects with 11 cities in Korea, Bangkok, Malaysia, Indonesia, Hong Kong and Taiwan, and 18 Chinese cities including Beijing, Shanghai, Guangzhou, Xi’an, Wuhan, Chengdu, and Kunming. By Train: There are no bullet trains to Zhangjiajie. Fast trains from Beijing, Shanghai, Guangzhou, Changsha, Nanning are K-trains, slower than Z-Trains and T-Trains. K-trains stop at more stations and run to some less famous counties in China. Trains with numbers-only are not recommended, as they are the slowest and most poorly-equipped. 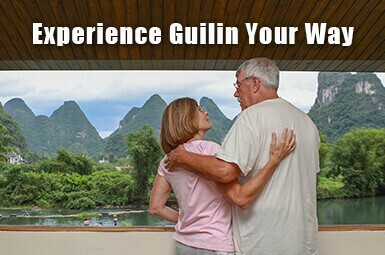 Guilin to Zhangjiajie – Plan A (recommended): Take a high-speed train from Guilin to Changsha (3 hours 20 minutes), then take a flight from Changsha to Zhangjiajie (1 hour 10 minutes, 4 flights per day). Plan B: take a bullet train from Guilin South Railway Station to Liuzhou Railway Station (1hour 10min), and Change a K-train from Liujiang Station (another railway station in Liuzhou city) to Zhangjiajie (3 trains per day), stay overnight in the train, and arrive in Zhangjiajie the next morning (11 hours). 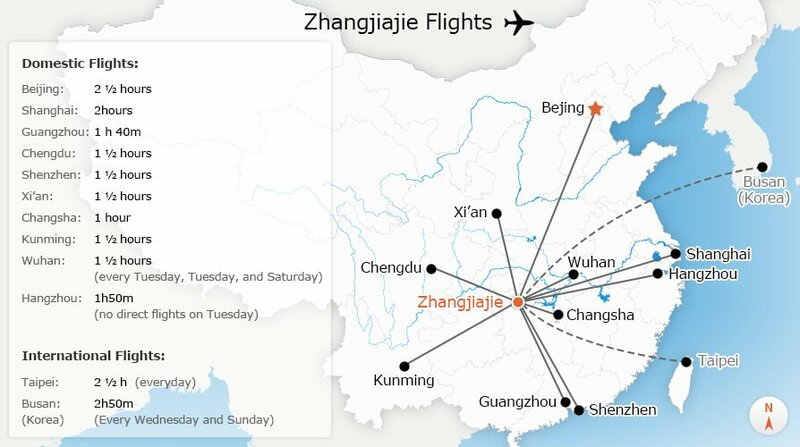 Shanghai to Zhangjiajie- 4 direct flights to Zhangjiajie from Shanghai Pudong Airport every day, taking 2 1/2 hours. 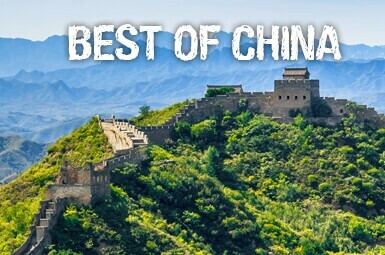 Fenghuang to Zhangjiajie - Fenghuang North Bus Station to Zhangjiajie – buses depart everyday at 6:00, 8:30, 14:30, and 17:00. Ticket Price: CNY40 per person. Disadvantages: takes a long time on the bus, and drives through precipitous mountain roads, with sharp turns at certain parts.